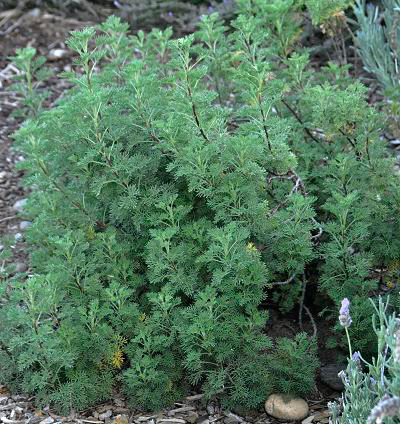 Southernwood, or Artemesia abrotanum, is a perennial woody shrub native to Southern Europe and we find much mention of it in Spain and Italy. It is known by many other names including Lad’s Love, Boy’s Love, Old Man, Southern Wormwood, Oldman Wormwood, Lover’s Plant, Appleringie, Garderobe, Our Lord’s Wood, Maid’s Ruin, Garden Sagebrush, European Sage, Sitherwood, Cola plant, Lemon Plant, maid’s love, maid’s passion, Sabbath day posy, slovenwood and sweet Benjamin. It belongs to the daisy (Asteraceae) family. 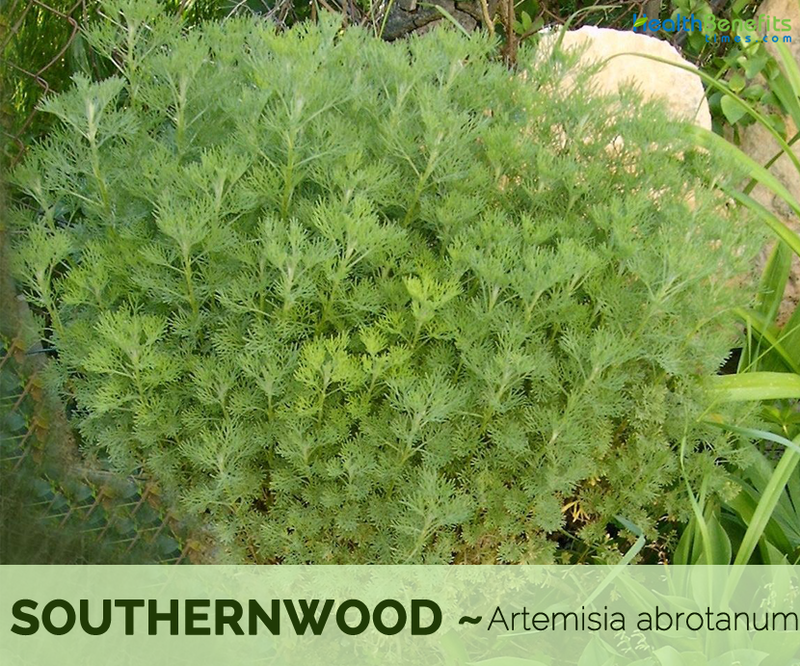 The name ‘Southernwood’ has Old English roots and means “woody plant that comes from the south.” The genus name, Artemisia, is derived from the Greek word “abros,” which means delicate and stems from Artemis, the Goddess of chastity. Artemis was also known as Diana, the Mother of all Creatures and Goddess of the Herbalist, the Hunt and Wild things. Southernwood is a highly aromatic, woody, perennial herb growing about 3 and 5 feet tall with a spread of about 2 feet across. Plant needs full to partial sun and sufficient moisture although they are tolerant of drought. They succeed in most soils, preferring a well-drained one that is not too rich. 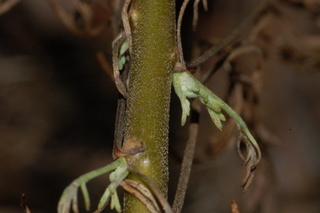 The plant has woody, upright-branching stems. Leaves are small, grey-green, narrow and feathery. They are silky when young, but nearly smooth when mature, the segments few in number, but very slender, 1/4 to 1/2 inch long, terminating in a point with their margins recurved. 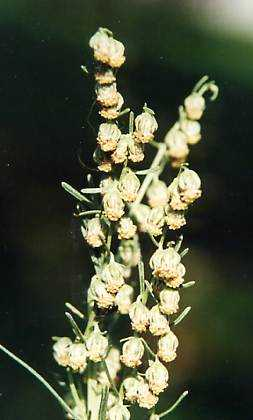 Flower-heads are small and numerous, in long, slender, drooping racemes and the florets are yellow colored. They normally bloom from August and September. This herb rarely flowers, so it is best propagated by root division or via cuttings. Fruits are small, inconspicuous brown nut. The bitter, lemony scent of the foliage is appreciated in herbal teas. It is pleasant in small doses, but can become overbearing in larger doses. The aroma will keep insects away as it acts as an insect repellent. Branches are hung with clothes to prevent moth or insect damage, in which case it’s called garderobe or ‘clothes protector’. The branches can provide a yellow dye that works well with wool. 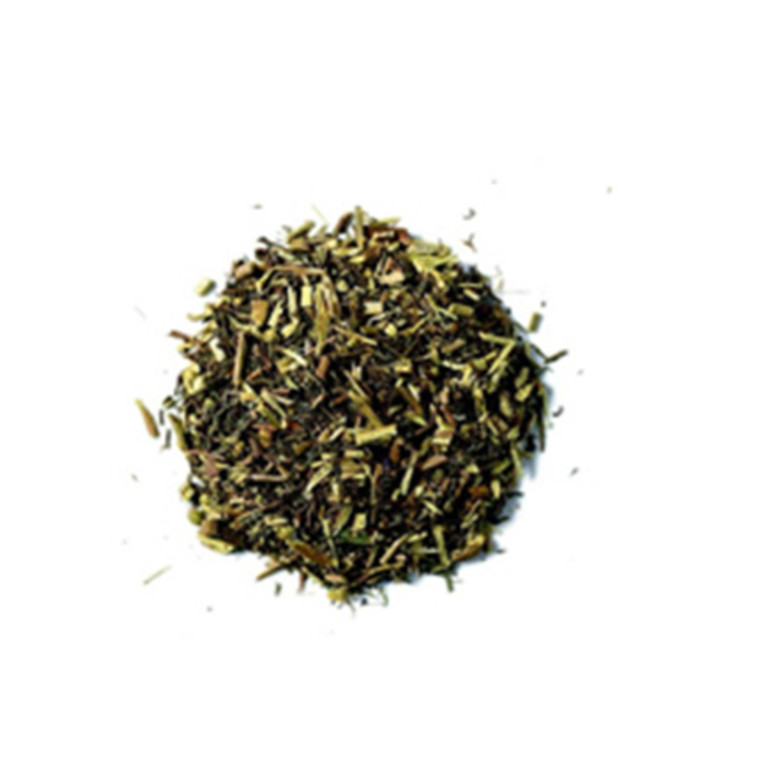 It is a strongly aromatic bitter herb that improves digestion and liver function by increasing secretions in the stomach and intestines. It stimulates the uterus and encourages menstrual flow, lowers fevers, relaxes spasms and destroys intestinal worms. The herb, especially the young flowering shoots, is anthelmintic, antiseptic, cholagogue, deobstruent, emmenagogue, stomachic and tonic. The main use of this herb is as an emmenagogue, though it is also a good stimulant tonic and has some nervine principle. It is occasionally given to young children in order to expel parasitic worms and externally it is applied to small wounds in order to stop the bleeding and help them to heal. The herb is also used externally in aromatic bathes and as a poultice to treat skin conditions. Fresh leaves were rubbed on the skin to ward off mosquito. Southernwood was used traditionally for cramps, urinary disorders, menstrual pain and cough as well as antidote against snake bites or other poisonous animals. The herb was also used as a remedy against the plague and intestinal worms. It is used to treat various skin diseases and was thought to promote beard and hair growth. Soak the leaves in warm water often combined with nettle, rosemary or sage and then rub the extract into the skin and scalp to prevent infection. It strengthens the digestive system by increasing the production of the digestive juices. It is used to regulate irregular menstruation. It has been used by men to increase their virility. In the past it was also used as an antidote to poison and to treat the bites of spiders and scorpions. 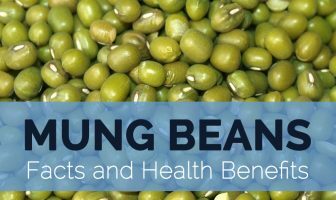 Young shoots have a bitter, lemony flavor and are used in small quantities as a flavoring in cakes, salads and vinegars. Tea is made from the young bitter shoots. The pungent, scented leaves and flowers are used in herbal teas. It is used as a culinary herb in Italy. It is also eaten in salads in Italy and cooked as a vegetable. It was used as a smoldering bed of branches for roasting lamb and is mostly suited for meats to flavor aromatic and rather fat meat (pork, duck, goose, mutton) or to add to bland meat (veal). The growing plant repels fruit tree moths when growing in an orchard. The fresh plant can also be rubbed onto the skin to deter insects. They are also said to repel ants. Shoots can be burnt in the fireplace to remove cooking odors from the house. Leaves have a refreshing lemon-like fragrance and are used in pot-pourri. An essential oil from the leaves and flowering shoots is used in perfumery in order to add certain subtle tones. Yellow dye is obtained from the branches. Plants can be grown as a low hedge, they tolerate quite hard clipping. An infusion of the plant is used as a hair tonic or conditioner. Its dried leaves are used to keep moths away from wardrobes. Volatile oil in the leaves is responsible for the strong, sharp, scent which repels moths and other insects. In many catholic churches the herb is still used as incense. 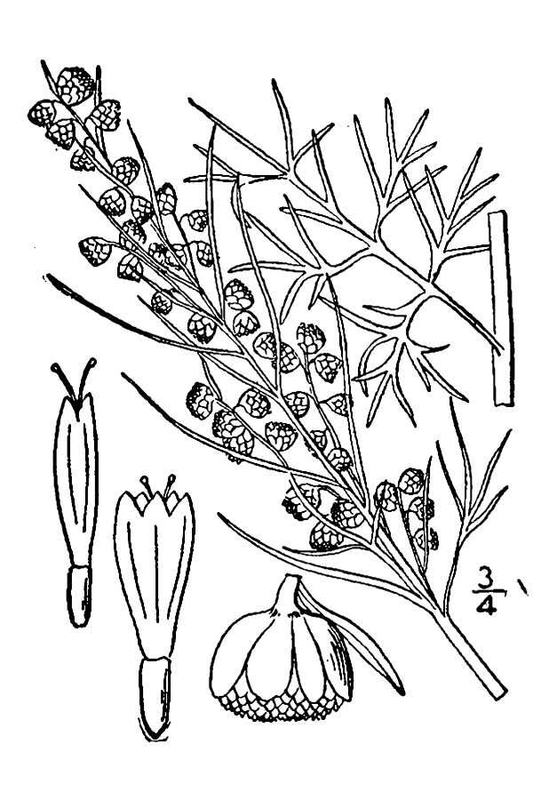 In Poland, Southernwood was placed in the shoe of a bride to protect her against any evil intent. It should not be prescribed for pregnant women, especially in the first trimester of pregnancy, since it can encourage menstrual flow. Children under 12 should avoid internal consumption of the plant. 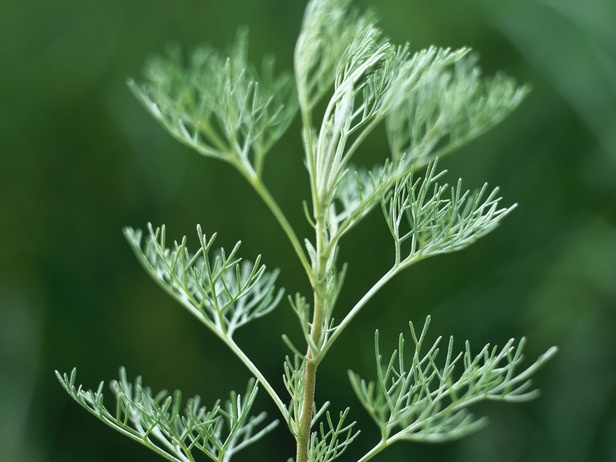 In some instances plants belonging to the genus Artemisia are known to cause both skin rashes and allergic reactions. Collect a handful of plantain leaves, southernwood, black currant and angelica leaves and one of elder flowers and place in a saucepan with a cupful of almond or olive oil. Simmer for 30 minutes and strain off the oil. Rewarm the oil and add 1 oz. white beeswax before removing to cool. Pour into jars before the mixture sets. Simmer in a pan for 10 minutes a handful of leaves of rosemary, lemon balm, bergamot, hyssop, and Southernwood and lemon thyme together with a handful of chamomile flowers. There should be about 1 lb. of herbs to 2 pints of water. Then strain and when cold, add the liquid 1/5 part of brandy or whiskey which will keep it for 2 months. Use a little in a warm bath to tone the flesh, cleanse the skin of impurities and relax the muscles. 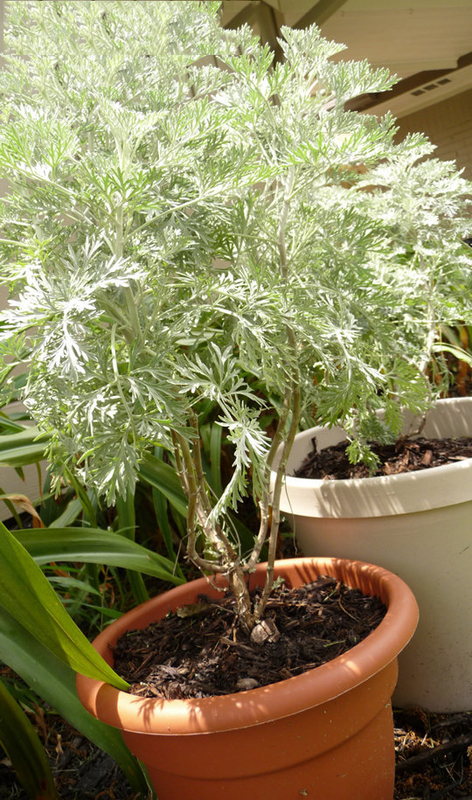 Boil a large bunch of lavender, southernwood or wormwood and tansy in 2-3 gallons of water for 10-15 minutes. Add ¼ cup vinegar, and then cool. Strain the mixture and pour into a bucket. Mop floors for a cleansing, pleasing fragrance. Sift the flours into a large bowl. Stir in the sugar and southernwood. In a separate bowl, beat the eggs lightly then stir in the cooled butter. Beat for 1 minute. Pour the batter into the prepared pan. Bake in a preheated 350 oven for 30 minutes to 1 hour or until a toothpick inserted in the center comes out clean. Cool for 5-10 minutes then remove sides of the pan. Growing Climate Like full to partial sun and adequate moisture although they are tolerant of drought. Soil Succeeds in most soils, preferring a well-drained one that is not too rich. Leaf Grey-green leaves are small, narrow and feathery. leaves are silky when young, but nearly smooth when mature, the segments few in number, but very slender, 1/4 to 1/2 inch long, terminating in a point with their margins recurved. 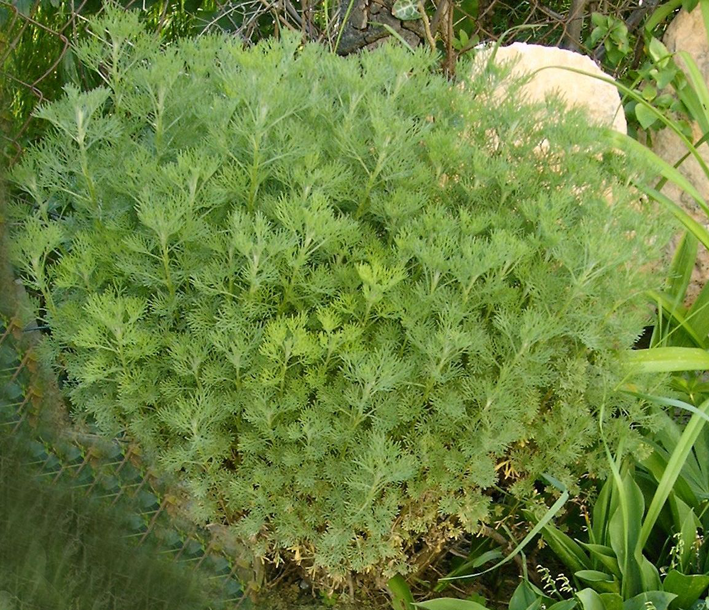 Artemisia altissima Ehrh. ex DC. Artemisia anethifolia Fisch. ex DC. Artemisia elegans Fisch. ex Ledeb. Artemisia foeniculacea Steven ex DC. Artemisia herbacea Clarke ex DC. 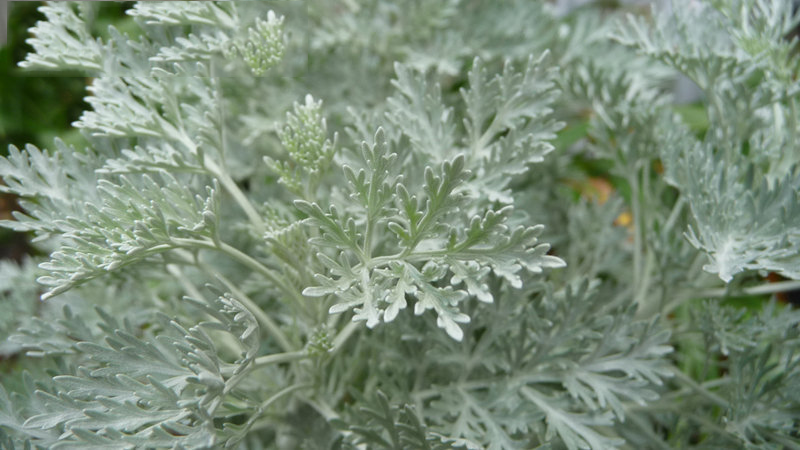 Artemisia herbacea Ehrh. ex Willd. Artemisia sabulosa Steven ex DC.